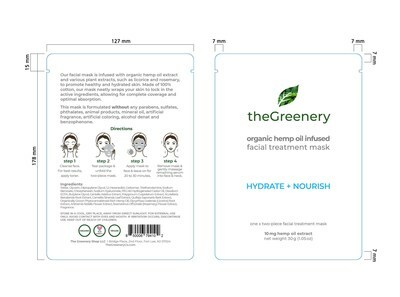 FORT LEE, New Jersey, April 9, 2019 /PRNewswire/ — GD Entertainment And Technology (OTC: GDET) (“GDET” or the “Company”) today released the packaging images for its all new hemp derived CBD products. GDET recently launched a cannabis sector subsidiary called, “The Greenery.” GDET will launch The Greenery CBD sales in conjunction with the annual 420 celebration, April 20, 2019. Today, within this press release, GDET has published the images of the labels that will be on The Greenery CBD products. These products will be for sale on GDET’s own Ecommerce site, www.thegreeneryco.com and on additional Ecommerce sites. GDET plans to announce additional sales venues between now and the 420 official launch. Among other sales venues, GDET is in discussions with North American Cannabis Holdings, Inc. (USOTC: USMJ) to have The Greenery CBD products available at USMJ.com.